It’s no secret that textbooks can be expensive, coming on top of tuition and living expenses. For a student relying on a part-time job to cover these costs, having a social life is pretty much out of the question. “Textbooks are extremely expensive, I just paid $512 on textbooks for this semester,” said Kayla Shimbashi. Fortunately, there are some ways students can save a little extra money. If students buy used textbooks through the bookstore, BC bookworm or Craigslist, it’ll keep more cash in their wallets. “If I had bought my textbooks from the bookstore, it would have cost me about $300. But since I got them used off of Craigslist, I only paid like $170 for them,” said Scott Rachel. Out of 20 Kwantlen students interviewed, only five bought their textbooks used. 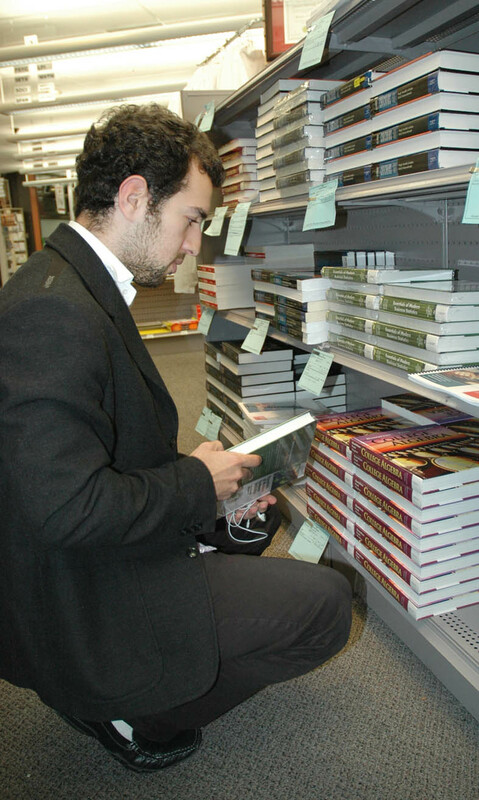 The majority of the students who bought new textbooks new from the bookstore were first-year students. The students who bought their textbooks used off of Craigslist and BC Bookworm were second- and third-year students. Craigslist is one of the most popular sites for buying and selling used textbooks. You can find textbooks for the majority of your courses being sold up to 50 per cent cheaper and most are in great condition. “I buy my textbooks from the bookstore because it’s just really convenient. When I’m done with them, I usually post them up on Craigslist. I’ve sold four out of eight of my old textbooks on Craigslist,” said Jansen Paulino. BC Bookworm is an organization run by students that allows you to buy and sell used textbooks. It’s free to post an ad and the ad stays up for 90 days. The site states it can help students save up to 35 per cent on their textbooks. “I find BC Bookworm really helpful, I used it to buy a few of my textbooks last semester,” said Fei Hyang. Another way to save some money on textbooks is to borrow from friends or split the cost of textbooks with classmates. “I either buy my textbooks at the bookstore or I borrow them from friends who have taken that course,” said Samantha Sunderland. Well I think it is true, that first semester students buy new textbooks, but I think most of the time they do it, because they don’t know another way. It is not so easy to figure out all the important stuff when you are just starting studying. I’m a third semester and I started to buy and sell used Kwantlen textbooks in the second semester, after some new friends told me about these websites, like bookworm.com, sellmytextbooks.org, or locazu.com.